1. Why are Chicago schools in the news? Last Friday, the Chicago Teachers Union staged a “Day of Action” to highlight what teachers see as underfunding of schools. The protest — which amounted to a one-day strike, led to the cancellation of classes for over 300,000 Chicago Public School students — also focused on the ongoing contract dispute between the city and its teachers, as well as broader concerns related to social justice issues in the city and the school reform agenda that has swept much of the country. Teachers in the country’s third-largest public school district rallied all day at schools, community colleges, and downtown. The union was joined by supporters from across the city, including community groups and other labor unions, as well as civil rights leader Jesse Jackson and national teachers union head Randi Weingarten. The move was condemned by Mayor Rahm Emanuel, who controls city schools, and Gov. Bruce Rauner. Emanuel agreed with the teachers push for more funding, but argued the walkout was wrong, saying, "I don't think the kids should pay the price for a political message." There was some internal division within the union. About 20 percent of their house of delegates voted against the strike, and several teachers voiced opposition, though the union warned that any who crossed the picket line would lose their membership. The district said teachers who did not show up to work would not be paid, but wouldn’t face disciplinary action; however, the district filed a claim against the union with the Illinois Educational Labor Relations Board, arguing that the walkout was illegal since state law requires a number of conditions be met before a strike can be called. 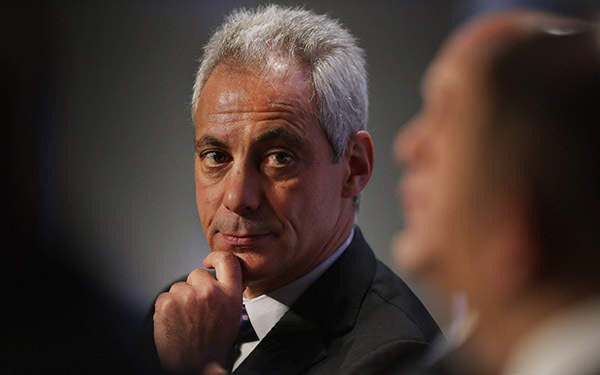 2. Who is Rahm Emanuel? Rahm Emanuel was first elected as the city’s 55th mayor in 2011, after serving as White House chief of staff to President Barack Obama and a congressman from Illinois. Soon after taking office, Emanuel began embarking on an ambitious education agenda that included lengthening the school day and closing dozens of schools with declining enrollment on the city’s South and West sides. Emanuel’s stature in the city was quickly tested when the Chicago Teachers Union authorized its first strike in 25 years. 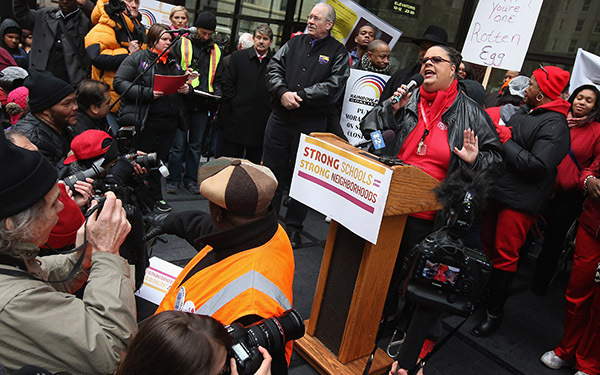 Since then, Chicago Teachers Union President Karen Lewis has been a thorn in Emanuel’s side. Chuy Garcia, a candidate Lewis endorsed, embarrassingly forced Emanuel into a runoff election to reclaim his seat. Emanuel’s schools chief, Barbara Byrd-Bennett, resigned in 2015 and recently pleaded guilty to charges of fraud; she is now being sued by the district she used to run. Emanuel replaced her with Forrest Claypool, his chief of staff. The mayor’s political capital further plummeted in the wake of the release of a dashcam video showing a white police officer shooting 17-year-old Laquan McDonald 16 times while the teenager was walking away. The city took more than a year to release the video to the public and only did so being ordered by the court. Since then, the mayor’s approval rating declined and city leaders have called for his resignation. 3. Who is Karen Lewis? Karen Lewis is the president of the Chicago Teachers Union and a former high school chemistry teacher. 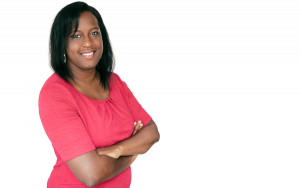 In 2010, she ran on the Caucus of Rank and File Educators slate, which accused the incumbent union leadership of caving in to the city on a host of issues including school closures, charter expansion and other initiatives. Her slate won with 60 percent of the vote in a runoff election. After leading the union’s 2012 strike, Lewis’s popularity as a labor leader soared inside and outside the city; she easily won re-election in 2013. A potentially formidable opponent to Emanuel’s re-election bid, she was considering running for mayor until she was diagnosed with cancer. 4. Who is Bruce Rauner? Rauner is the state’s Republican governor, elected in 2014 over Democratic incumbent Pat Quinn. 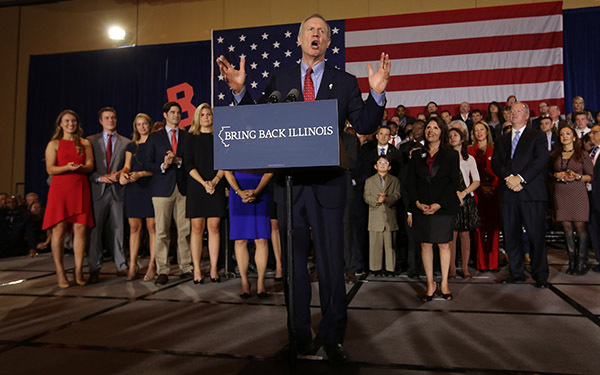 Rauner, a wealthy businessman who had never before held elected office, ran on a platform of cutting taxes and weakening the political influence of public sector unions. He won with the support of suburban Chicago and downstate, but was overwhelmingly opposed by city residents. Rauner has had a longtime friendship with Emanuel, though the two have been publicly at odds of late over school funding. Rauner has also been a consistent foe of Lewis, and a backer of charter schools. In fact, a school in the Noble Network of charters is named after Rauner and his wife, Diana. Recent polls suggests that just over half of Illinois voters disapprove of Rauner’s job performance, with about one third approving. 5. What happened during the last strike? In September 2012, the Chicago Teachers Union struck over pay, education policy and school funding. It was the union’s first strike since 1987 and the labor group’s leaders had more than 90 percent of its 25,000-membership behind them. While Mayor Emanuel sought to cast the union’s actions as a “strike of choice” that burdened city families, the union had the public’s support. A poll conducted by the Chicago Tribune beforehand showed that 40 percent of city voters supported the union on overall education issues compared to just 17 percent who supported Emanuel. Early in their negotiations with Chicago Public Schools, teachers asked for a 30 percent raise over the course of two years. The union’s leaders had argued that teachers needed to get a large pay increase because the school district was planning to lengthen the school day. The labor group also sought to downplay how much students’ standardized test scores would factor into the new state-required teacher evaluation system and wanted to mandate that teachers who had been laid off get first crack at any new jobs. They also proposed funding for adding art, music, librarians, physical education teachers, smaller class sizes and air conditioning. In the end, the teachers got a 17 percent raise over four years and were still evaluated on test scores but the district agreed to try and give highly rated teachers at least half of any new job openings in the schools. Arguably the political effects of the strike were more significant. It proved to the larger education world that teachers unions could fight back against education reform movements taking place in their communities — and retain, even grow, public support. 6. What is the financial situation currently in Chicago schools? The schools are in bad financial shape. The city faces a $1.1 billion budget deficit and is on a financial watch list created by the Illinois State Board of Education. Earlier this year the district completed a $725 million bond sale at 8.5 percent interest — an extremely high rate likely in part due to the spectre of bankruptcy raised by Rauner. The financial troubles have manifested themselves in schools. Recently the district had to cut $200 million from the budget and lay off 62 staffers; principals were told to stop spending money; three furlough days were instituted for teachers, including a cancelled day of classes for students. In 2013, amid fierce protests, the city closed 50 public schools — almost exclusively in black and Hispanic neighborhoods — due to underenrollment in order to cut costs. Chicago teachers are paid quite well, particularly early in their careers and relative to those in other large cities, and have similar salaries to teachers in several suburban Chicago districts. 7. What are the roots of the district’s financial problems? Chicago schools are struggling with three overarching financial challenges: pension shortfalls, inadequate state and local funding, and declining enrollment. Like many states, Illinois offers its employees a pension plan or a guaranteed stream of income when they retire. Those pension plans are funded in three ways including individual workers’ contributions from their paycheck, the return on fund investments and contributions made by the state government. In theory, the contributions into the state pension funds each year should roughly equate to what the state has to pay those workers when they retire. The problem is that for many years Illinois—like many states—has not been making enough contributions into those funds to cover their full costs. A report released by Pew Charitable Trusts in 2013 revealed that Illinois and Chicago have some of the worst-funded pension systems in the country. The district has kicked the can down the road and now the bill has come due. Recent efforts to change the pension structure for existing public employees have been ruled unconstitutional by the state Supreme Court. Under state law, individual educators are required to contribute 9.4 percent of their salary into the retirement system, but most districts, including, Chicago have negotiated with local unions to pick up part of teachers’ required contributions. The city school system pays 7 percentage points of that contribution. While the state pays for what other school districts have promised to contribute toward their teachers’ retirement system, Chicago is largely left to pay for that on its own. That means Chicago residents are paying taxes toward two teacher pension funds — their state taxes are helping fund teacher pensions across the state while their city taxes are picking up retirement costs for CTU members. That has prompted Emanuel and Chicago Public Schools CEO Claypool to call state policymakers to implement “pension parity.” Senate Republicans acknowledge the pension disparity, but argue that Chicago gets disproportionate funding for other areas, including early childhood and special education. In addition to the 7 percent pension pickup for teachers, the district is also putting extra money towards catching up on pension payments it skipped in previous years. A law passed in 1995 required Chicago Public Schools to make sure that the pension reserve was at least 90 percent funded by 2045. Now, Chicago Public Schools has to dramatically increase its payments into the teacher retirement system, but is still coming up short of a fully funded teacher pension fund. For every dollar the city pays towards teacher salaries, it spends about 33 cents on pensions. 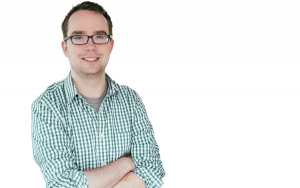 Also contributing significantly to the problem are broader funding issues. Since 2010, state funding has declined significantly, while local funding has increased only modestly and federal funding has been flat or declining. A report from the Education Law Center, which supports more funding, identified Chicago (along with Philadelphia) as one of the two “most fiscally disadvantaged large urban districts in the country.” The city gets 15 percent less state and local funding than average, compared to other districts in the metropolitan area, despite having a significantly higher poverty rate. Another report from the same group, as well as a separate study from nonprofit Education Trust, identified Illinois as having one of the least equitable school funding systems in the country. These inequities are driven by the state’s heavy reliance on property taxes to fund schools, which disadvantages poor areas, and aren’t made up for in the state’s funding formula. Chicago does receive a significant amount of federal dollars. Meanwhile Chicago Public Schools have faced enrollment declines largely because of the expansion of independently run charter schools. Compared to a decade ago, the district-run schools are serving about 14 percent fewer students. As enrollment declines, so does revenue, but districts often struggle to reduce costs at a similar rate. The controversial school closings were an attempt to address this. 8. Are Chicago schools at risk of going bankrupt? It’s not currently legal for a school district to do so, but that’s what the governor is pushing for, which has made it more difficult for the district to borrow money. Democrats in the legislature say such a proposal is dead on arrival. 9. What’s happening with the current Chicago teachers contract? The Chicago Teachers Union and Chicago Public Schools are at odds over the contract that expired last July. Earlier in the negotiations, the union asked for a decrease in class size, a three percent salary boost, pay for snow days, and hundreds more counselors, nurses, and social workers. Meanwhile, the district originally wanted to forgo the 7 percent teacher pension pickup, saying without it the schools might need to lay off thousands of teachers. As negotiations lagged, the district cut $100 million from school budgets and implemented mandatory furlough days for educators. Claypool recently backed off a plan to cut the district’s pension pickup until negotiations end. If the two sides cannot agree on a proposal, the earliest the Chicago Teachers Union could go on strike would be the end of May. The final day of classes is June 21. 10. What’s happening with the state budget? For more than nine months, Illinois lawmakers have been at odds over the state’s budget for the fiscal year that began last July, making it the longest state budget impasse in recent memory, according to the National Conference of State Legislatures. Gov. Rauner is tying approval of the state’s budget to curtailing union power, a tradeoff the Democratically-controlled legislature won’t approve. The state has racked up nearly $6.7 billion in unpaid bills since 2014. The stalemate has prompted credit rating agencies Standard & Poor’s and Moody’s to warn that the state’s public universities may be unable to pay their debts. Public colleges and social service organizations that depend on state funding have been forced to make cuts. Some 24,000 state workers are not being paid raises that they were awarded last year. 11. What does the union want, what does Emanuel want, and what does Rauner want? 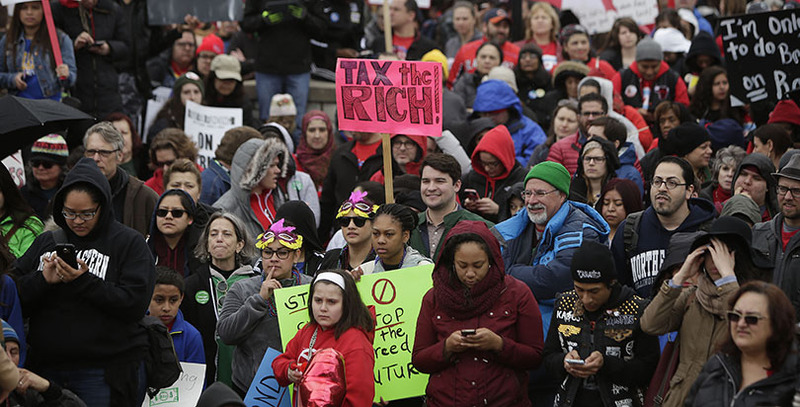 The Chicago Teachers Union says there is a need to raise more money for schools but wants to see progressive tax reform implemented that would take a deeper cut from the state’s highest earners. Union leaders estimate that the policy could generate an extra $6 billion in revenue for education and other needs. The labor group also wants to see the city tap into its Tax Increment Financing, funds geared toward economic development, to pay for education. Emanuel says that he agrees with the union about the need for changing the state’s funding system in order to drive more resources to poor districts including Chicago. He has opposed, however, some efforts by the union and some legislators to increase school funding using the economic development fund. The union and Emanuel are generally aligned with Democratic state legislators who have put forth proposals to raise revenue and distribute more to low-income districts. Rauner, on the other hand, wants to weaken unions, allow city schools to go bankrupt and enable the state to take over schools — all opposed by the Democratic state legislature, the union, and Emanuel. Rauner has also resisted raising revenue, which many say is necessary to address the funding issues, while also opposing efforts to steer money away from wealthier districts to poor ones. 12. Who does the Chicago public think? By large margins, most Chicago residents support the teachers’ union over Emanuel when it comes to education issues. A February poll by the Chicago Tribune found that 60 percent sided with the union and just 20 percent backed the mayor (with the remainder saying ‘neither’ or that they didn’t know). This has been a consistent finding in polling since 2012. The same poll found that 70 percent of the city disapproved of Emanuel’s record on education, particularly among African-American residents and those with students in the public schools. 13. How are Chicago students doing academically? On the National Assessment of Educational Progress, a federal test, Chicago students lag behind the rest of the state and the country, but their scores are about on par with students in other large cities. In 2003, the city’s scores, especially in math, were generally significantly worse than other big cities, but Chicago has closed the gap in recent years. At the same time, however, achievement gaps between white and black students have expanded. The city’s high school graduation rate has been steadily rising — from about 57 percent in 2011 to nearly 70 percent in 2015 — but it also a point of controversy after an investigation suggested that the numbers were inflated due to miscounting dropouts as transfers. The city admitted to the error, retroactively downgrading the 2014 rate by about 3 percentage points. 14. Have the recent reform efforts — including closing schools, expanding charters, lengthening the school day, and revamping teacher evaluation — improved academic outcomes? On school closing, a 2009 study showed that students displaced by closing did not either improve or regress academically over the long run. Unsurprisingly, students who attended highly ranked schools did see academic gains, but students who transferred to low-performing ones lost ground. A more recent study on the nearly 50 closures in 2013 found that the vast majority of displaced students moved to a school with a higher performance rating than the one they left and there was no evidence that students departed the district altogether as a result of closures. However, there were many barriers for families who wanted to choose a school other than the one that was recommended. On charters and school choice, a 2015 study showed that Chicago charters narrowly outperformed district schools as measured by math test scores, but did no better in reading. Another study found that the city’s charter high schools had a positive effect on students’ high school graduation and college attendance. A 2005 study showed that the city’s intra-district choice system had little positive effect on students, except for those attending career academies, which led to increased graduation rates. On teacher evaluation and accountability, there is evidence that the city’s pilot had a positive impact on student achievement in its first year, but not its second. A survey of teachers and principals found that most believed the expanded observation process had improved instruction, though there were concerns about the use of test scores in the system. A 2013 study found that weakening job protections for non-tenured teachers improved their attendance rates. There is little evidence on the impact of the city’s longer school day; research in other parts of the country is generally, though not uniformly, positive. 15. Why is Chicago important in the larger education debate? Chicago is the third-largest city in the United States, which makes it an ample testing ground for education policy. The city caught the attention of researchers and the education world in 2009 when Obama tapped Arne Duncan, the former Chicago Public Schools CEO, to be Secretary of Education. While Duncan was steering the city’s public schools, he implemented a number of reform strategies he brought to the White House, including the department’s turnaround program for struggling schools. 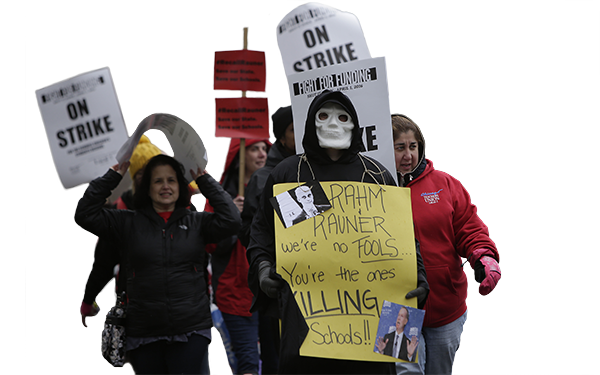 The Chicago Teachers Union’s combative approach and popularity within the city may have contributed to a rise in more adversarial unions across the country. 16. What will happen next? Right now there’s no clear answer. Chicago Public Schools are on an unsustainable financial path, but the solutions proposed by both sides are fundamentally at odds.